Mr Spencer played the fish for 45 minutes before successfully landing and releasing it. It measured 42inches, so was probably 33lbs plus when it arrived in May or June. Another fish, estimated mid-to high 30’s, was hooked, played for 50mins and then lost (broken leader) earlier on this year. 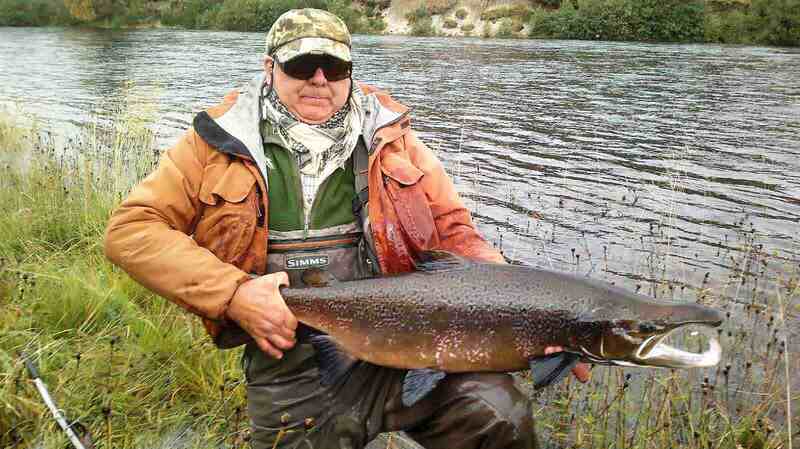 The Lochy have landed 17 fish at 20lbs and over this year so far. Their average size of MSW salmon is around 13lb (excluding grilse).